Bermudian triathlete Tyler Butterfield won the prestigious Abu Dhabi International Triathlon in the United Arab Emirates on Saturday [Mar 15], competing against a field consisting of the top triathletes from around the world. The first place finish, achieved in a time of 6 hours 43 minutes, allowed Butterfield to walk away with $40,000 in prize money, and one of the top titles available in the triathlon world. 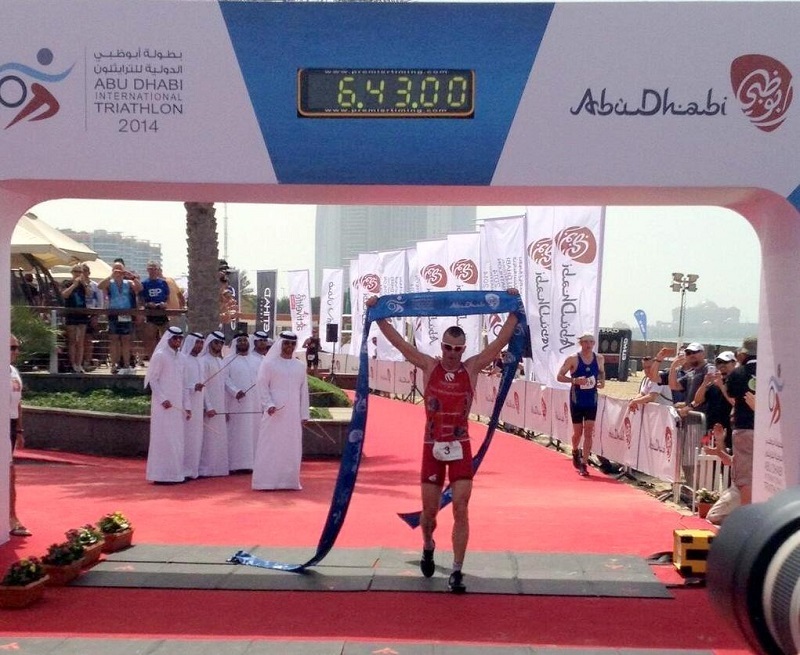 Butterfield’s prize-winning effort included a 3km swim, a 200km bicycle ride, and a 20km running course. Belgium’s Bas Diederan came second, with Frenchman Sylvain Sudrie finishing third, and defending champion Frederik van Lierde of Belgium rounding out the top four spots. Approximately 2,000 triathletes from 68 different countries competed in this year’s event, each of them seeking a portion of the $200,000 in available prize money.